Uprooted from his city life by the death of his father, Dark is called into a rath as he wanders the fields near his new home. There, he meets people big and little whose magnificent stories of warriors, monsters and the fairy people provide an escape from Dark's crumbling school and home life. 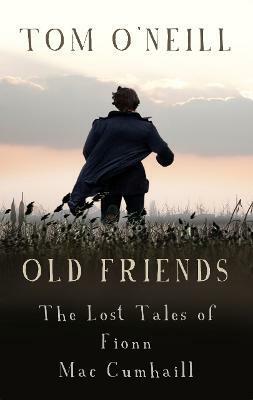 O'Neill's powerful new tales of adventure, heroism, treachery, weakness and redemption entwine with ancient Irish folklore as Dark realizes that he, like his eccentric uncle Connie, belongs to two very different worlds. Tom O'Neill's working life started in teacher training in impoverished schools in South Africa and he is currently involved in computer-based education and running a farm in Kilkenny. Recently restoring an ancient castle and helping his father publish a social history reconnected him to stories and beliefs that were still vibrant in his own childhood and prompted him to write Old Friends. This is his first novel.